Congratulations ma’am, on closer inspection you are a human being after all. Three years ago you were walking around in the snow with no home and not a penny – your asylum claim and section 4 support had been denied so you ceased to exist and were left to the kindness of strangers for support. This snowy day you have that priceless piece of plastic in your purse declaring that you have Three Years Discretionary Leave To Remain. 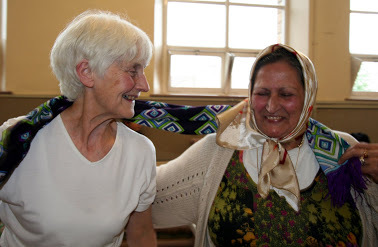 All RASAG members and friends wish you the very best of everything Azizeh and we give heartfelt thanks to the UKBA for acknowledging that you, a grandma from Tehran who survived a terrifying journey to flee persecution and seek sanctuary in Britain, are human after all.